Palm Court Restaurant and Bar has been redesigned for 2018! Now with a 300-seat capacity, gardens with views of the sea, extensive list of cocktails and a brand new menu this is somewhere you can relax, enjoy a delicious new menu and even watch the sun go down. Sit down inside or simply take away from our wonderful fish and chip kiosk. 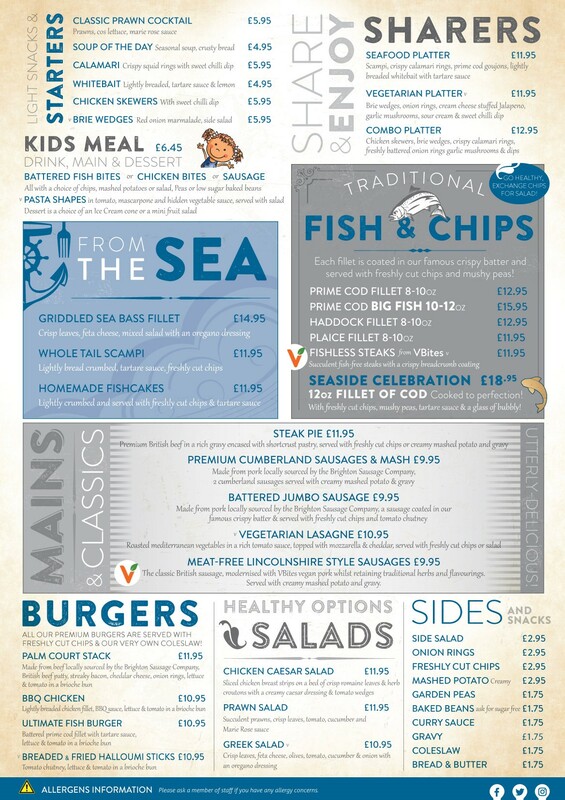 Our menu ranges from our Homemade Fisherman’s Pie to our Seaside Celebration Meal, complete with 12oz fillet of cod and a glass of bubbly. We also cater for vegetarians too! 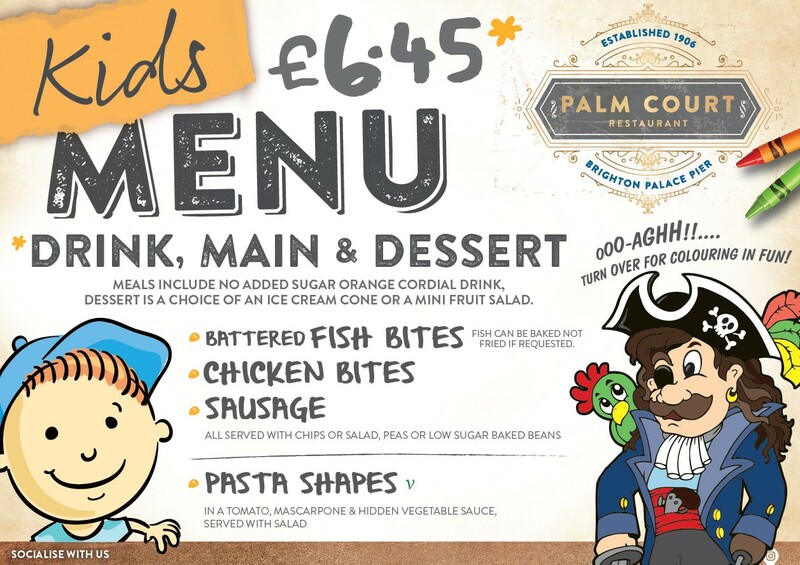 You can choose from meals like our wonderful Vegetarian Platter or our Homemade Vegetarian Lasagne. Don’t forget to leave room for dessert! 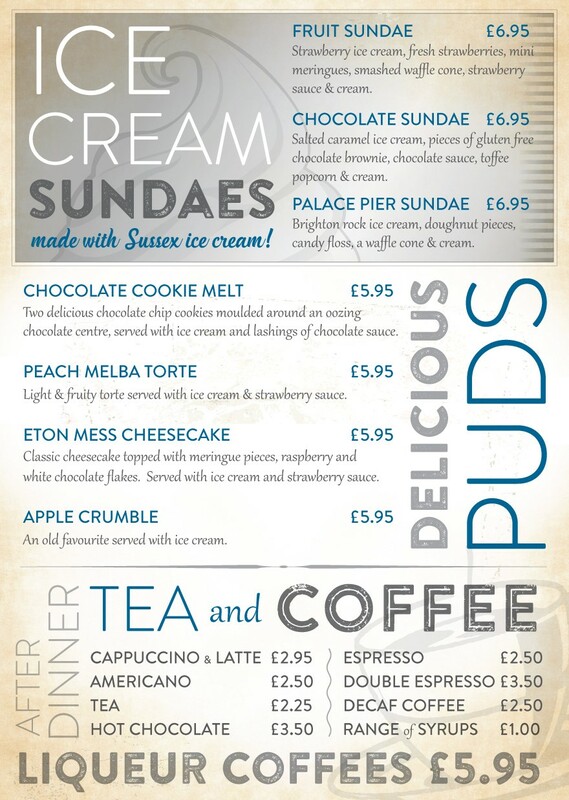 Our ice-cream sundaes are unforgettable and our signature Palace Pier Sundae is a dish that you simply must try before you leave. If you’re looking to host a private party then there is no place better than Palm Court. We have a PA system for all private events or you can simply bring your own music in to play. Yes, please call 01273 609361.